Some people doubt the power of an electric golf cart. They say that they would rather have a gas cart because they have too many hills. 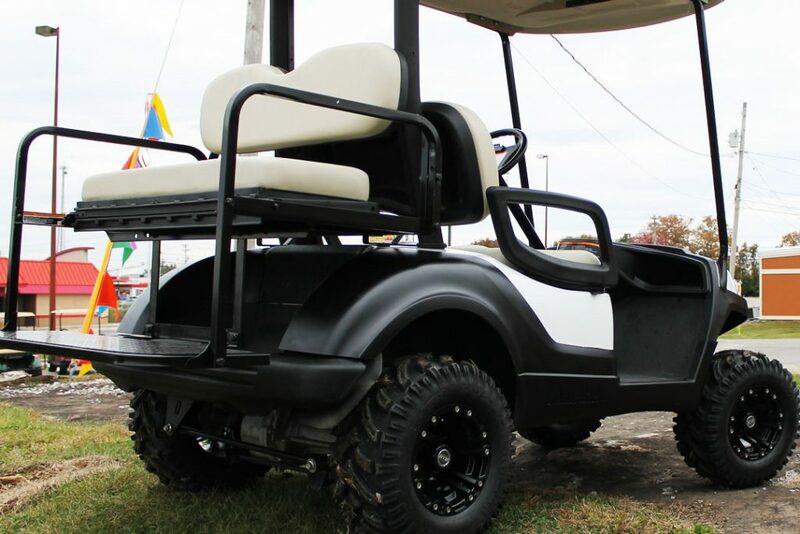 Well this golf cart was built to prove them all wrong. 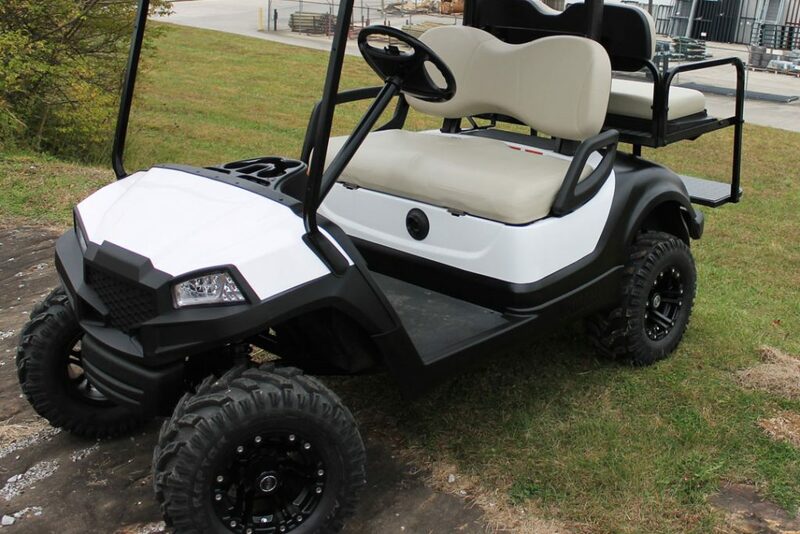 This build started with a standard 2014 stock Yamaha Drive 48 volt electric golf cart. The Lift kit we used was a 3″ Jake’s Lift Kit. The reason we went with the 3″ lift vs the 6″ lift was simple; we wanted the most torque we could have still available at the wheels. 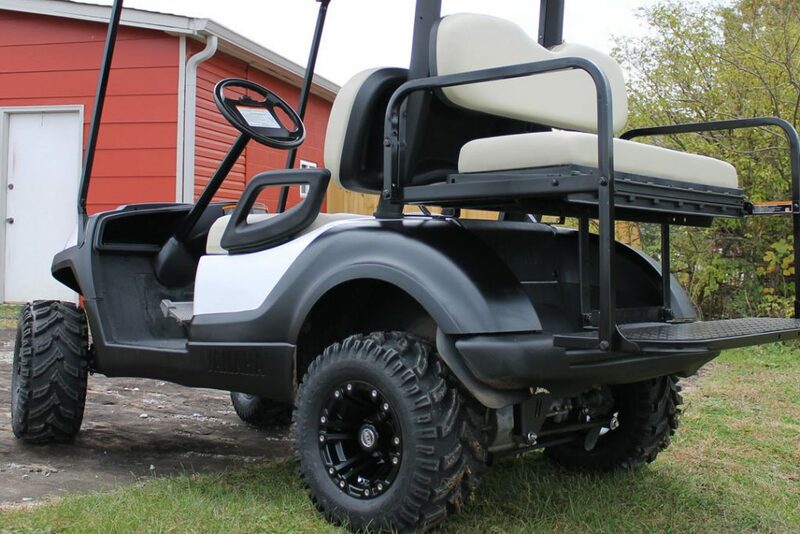 We went with a 20″ tire called the Raptor, it was perfect for getting the traction wanted for this hunting cart. 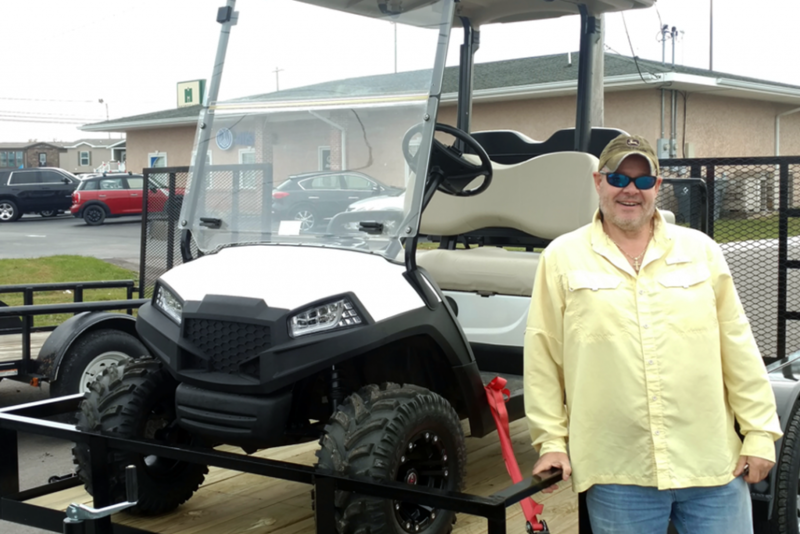 Now, by no means will having a super quite stealth hunting buggy garantee you a nice big buck every time you go out, but it can’t hurt! 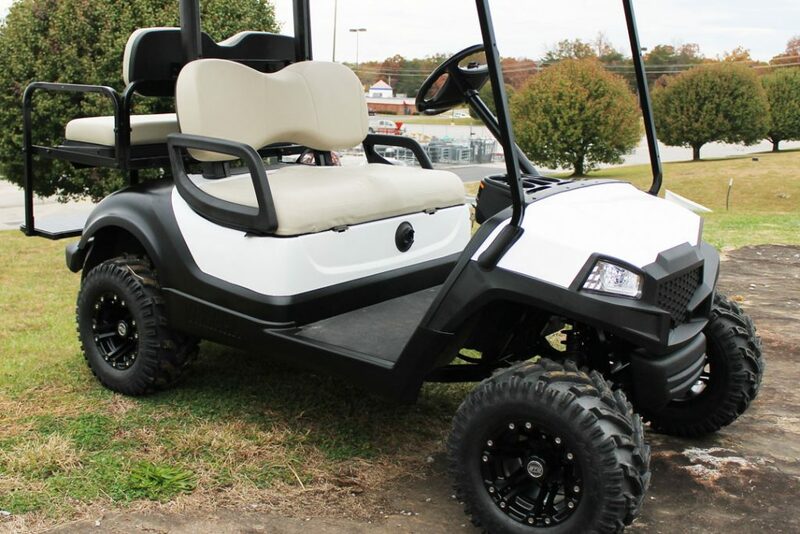 This hunting / off-road golf cart was built and designed by the McCulley’s Golf Cars team before we had a customer for it. It worked out quite well though. 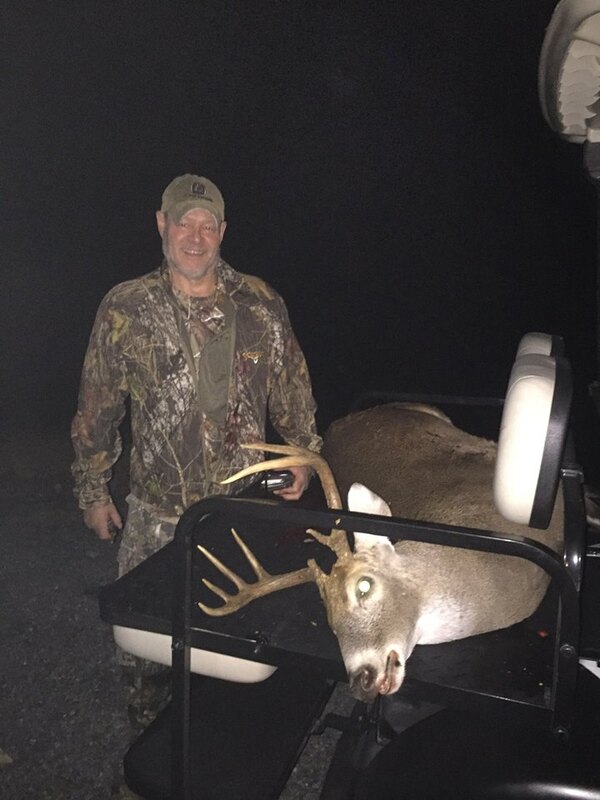 We had a customer from a few years ago that had gotten a cart from us to hunt with. 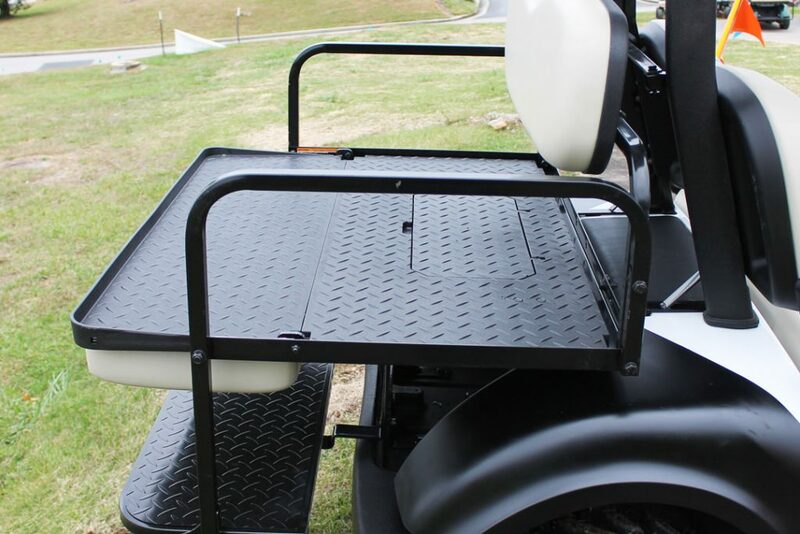 His cart was a 2011 Yamaha Drive with a 6″ Lift and 22″ all terrain tires. The cart looked nice, but it was the stock body and needed new batteries. When he saw this Yamaha Drive he decided it was time to upgrade! How did he do? He had a deer on the back of the flip down rear seat the next day!